Up to 131 ft between servers & KVM Switch. 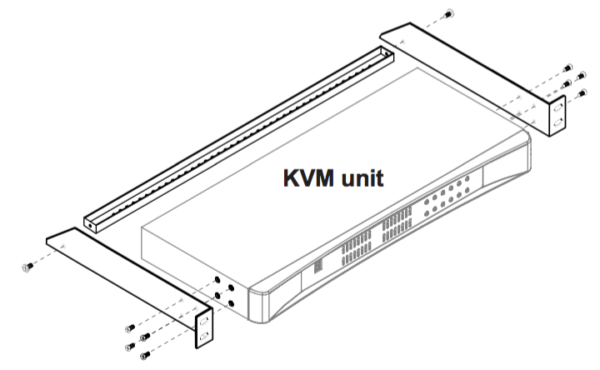 More ports, improved cable management, plus increased server-to-switch distances. 8, 16, and 32-port versions. 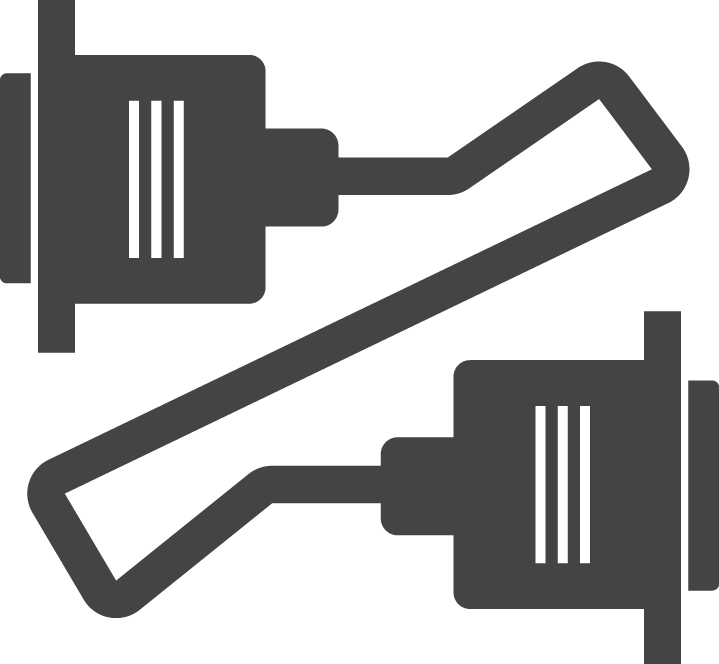 Create custom CATx cable lengths to ease cable management. Extend the distance from servers-to-switch, up to 131 ft (40 m). 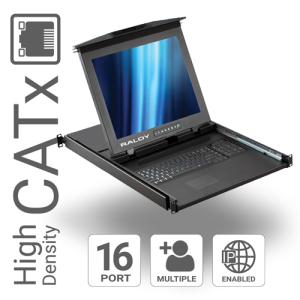 Easy cabling and high port density. 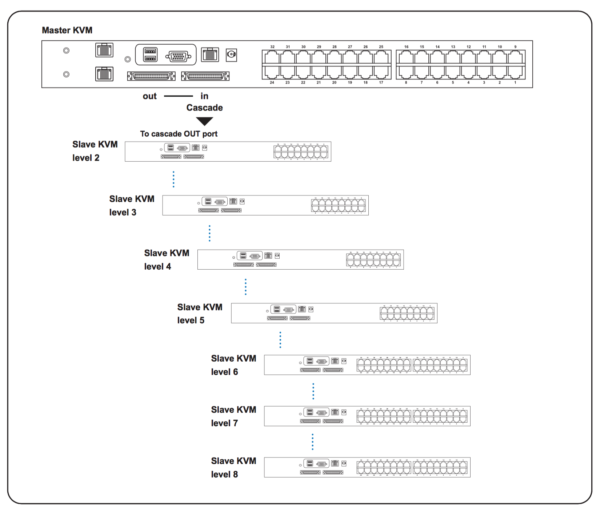 Cascade switches up to 8 levels. Up to 131 feet between servers and KVM. Single user and multi user models. 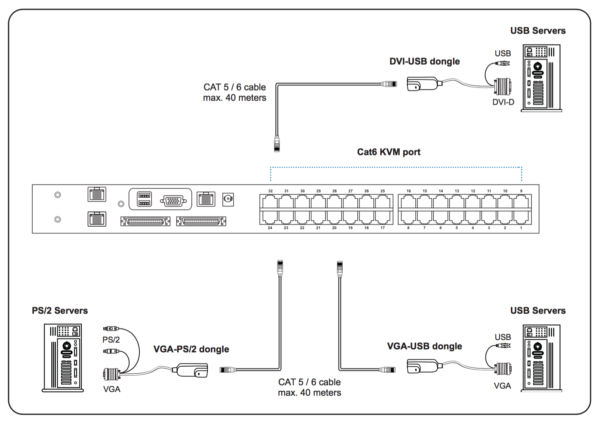 8, 16, or 32 ports in 1U rack space. 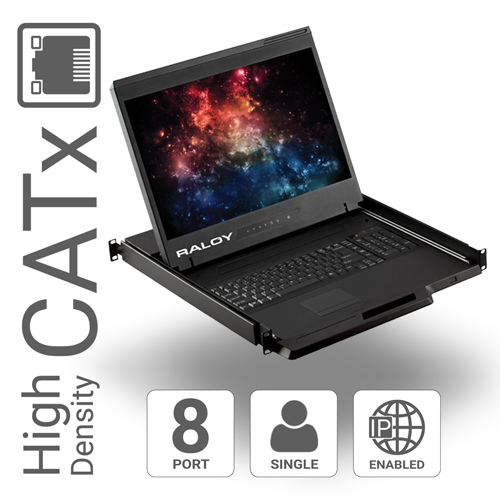 Integrate with any Raloy LCD console. Available in single- & multi-user models with 8, 16, or 32 ports and dedicated daisy chain ports for expansion up to 8 levels (256 servers). 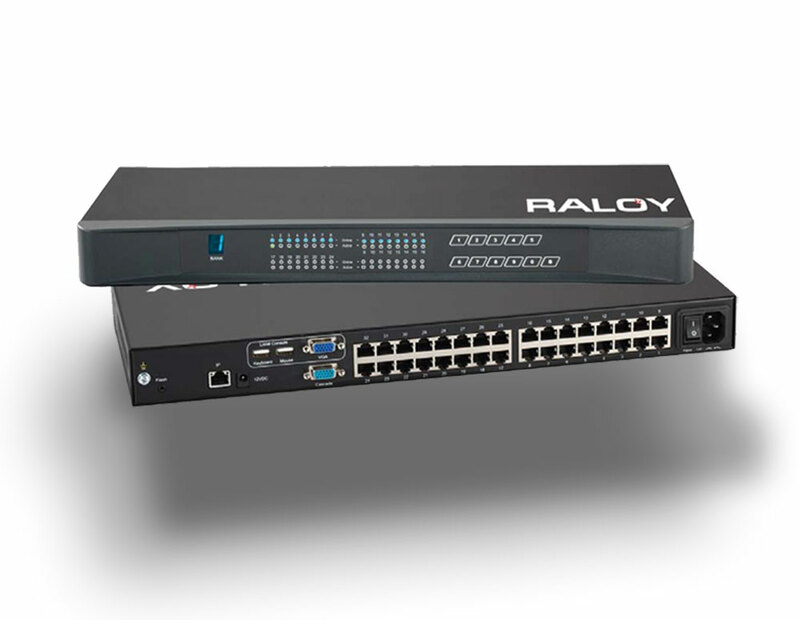 All Raloy KVM Switches are available as standalone KVM switches or may be incorporated with any Raloy LCD console. 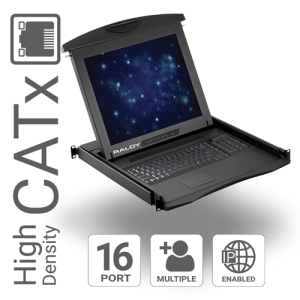 Providing computer and switch connections up to 131 feet, extended user access up to 492 feet, and optional IP access. 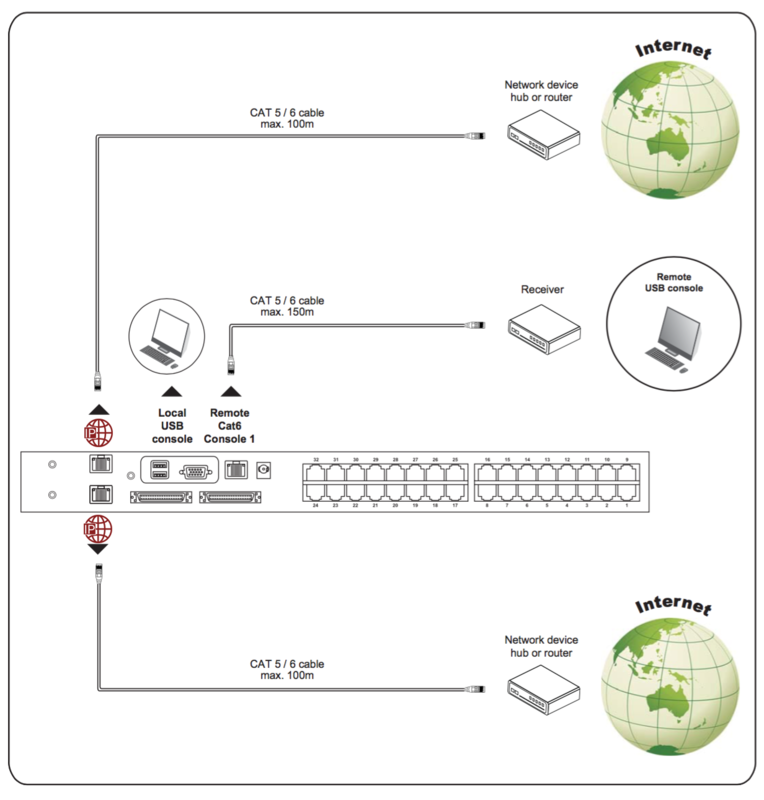 CATx KVM switches provide secure local, remote, and global IP user(s) control of servers. Deliver multi-platform switch capability, multi-lingual on screen display, dual power with fail-over, and DC power options.